“Sonata quasi una fantasia” was the title given to it by Beethoven, and yet the world of music knows it as the “Moonlight Sonata” – an epithet that was already around during the composer's lifetime. “The lake rests quiet under the light of the moon at twilight; the wave thuds against the dark bank”, wrote Ludwig Rellstab on the 1st movement in 1823. “It is as if we catch sight of a colossal grave in the middle of a lonely plain, palely lit by the sickle moon”, was what Wilhelm von Lenz wrote. 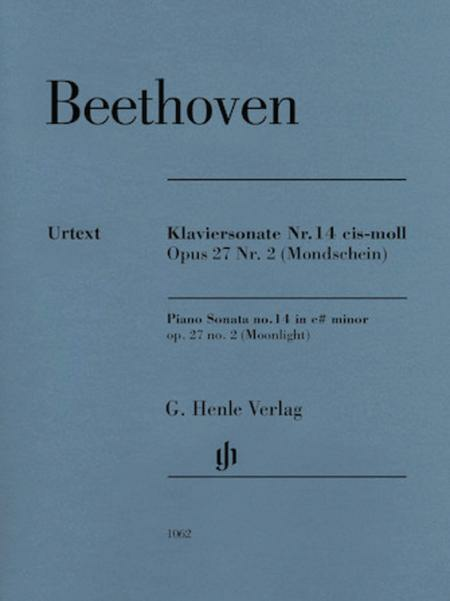 Beethoven might have been influenced by the sound of the Aeolian harp, as Murray Perahia and Norbert Gertsch explain in the introductory texts to this edition, referring to the latest research. 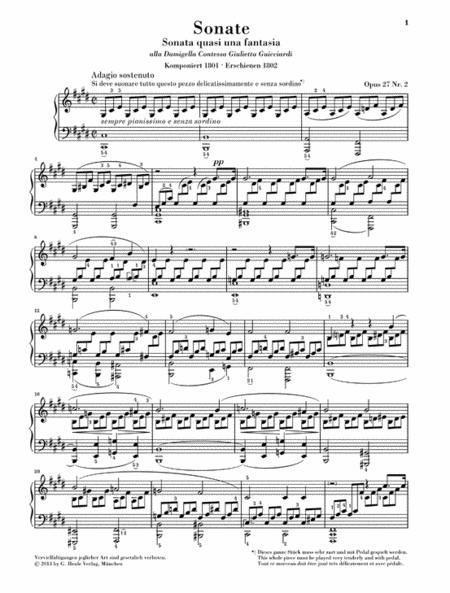 Perahia also provided the fingerings.